The Fae have decided to come out of hiding and save the world from being destroyed when the Seven form and dimensions collide. Mercy O’Malley is supposed to take out Logan Kyllwood, the last man set to join the Seven, but when she gets near him her blood sizzles and her heartbeat quickens. When she decides to kidnap him instead Logan goes along with it trying to figure out this new danger. Needless to say, neither one of them fights against the pull they have for each other even though they are fated to be on opposite sides of this war. Logan was born a warrior and even though he is the youngest Kyllwood brother he has taken on a significant task of saving their world by joining the mysterious Seven. As with all of the other alpha heroes in this series, Logan is dark and broody but he has an element of fun that is brought out when he meets Mercy. Part of that is that she is Fae, a species he didn’t know was real. He jokingly calls her a fairy through the whole book, a title she begrudgingly accepts. It’s that humor that humanizes the story and makes she and Logan interesting. I was given an ARC of this novel through NetGalley for my honest review and it was honest! Vampire’s Faith is the eighth book in the Dark Protectors series, but is really the first book in it’s own series, also set in the Dark Protectors world. Ronan Kayrs was sacrificed to live in an alternate dimension that was supposed to last for an eternity. His sacrifice was part of a key that would hold the ultimate enemy. When Ronan wakes in a hospital, he realizes his part of the containment has collapsed, and that evil is closer to being released back into this world. However, there is a bright side for Ronan. When he awakes he also sets sight on the woman he has been dreaming of for centuries, his mate Dr. Faith Cooper. 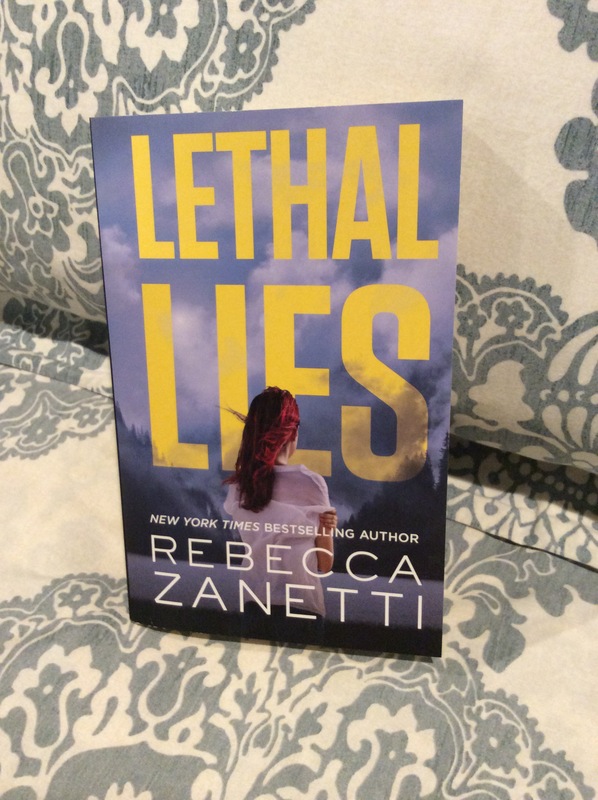 The Dark Protectors series is my favorite of Rebecca Zanetti’s. It uses the time honored theme of good vs evil, but with a paranormal twist. Vampire’s Faith adds another twist in that Ronan is a King from centuries ago. His brothers descendants are the current time Kayrs family who rules their vampire nation and are the heroes of the earlier books in this series. A clever way to tie the stories together and keep this thrilling series alive. I had a really easy time enjoying Ronan. When he entered the story he was kind of goofy, after all he was dropped into current technology, clothing, etc. He was charming and self deprecating as he wooed his mate. As the story moved forward, he became more demanding and reverted to the “I am male therefore you should listen to me” ways of the past. Luckily Faith was not going along with his program. It made for a tension filled love story where both of their eyes were being opened to unusual things and they had to rely on each other to be their anchor in an unfamiliar world. The highlight was that the attraction between the two was sizzling and their passion jumped off the pages. Where I felt the story slow down was when the Kurjans and Cyst were bigger players in a scene. I guess I needed a little more back story for this hidden sect that showed up all of a sudden as the big evil was closer to being released. I’m sure their part in this story will get fleshed out a little more in the next novel, which looks to be a good one. The story set up nicely at the end of this book to tantalize the reader. Storm Gathering starts off with our crew of Mercs in post apocalyptic Southern California where we catch up with Greyson and Maureen’s storyline. Their beginning took place in the third novel about Raze and Vinnie. Raze is Maureen’s brother and had been hunting for his sister throughout that novel and he ends up finding her in Grey’s hands Because I’ve read all of the novels in this series, the recap of Greyson and Maureen’s origin story was superfluous, but I know the author included it so that the novel could stand alone. However, there is a lot of back story that would be missing for the other characters who do actually play a large role in the storyline that has been continued from book to book. Greyson, as the leader of the mercenaries, or Mercs, is a hard ex soldier. He had captured Maureen because her background in biology was needed by his group. Their attraction for each other was immediate, though they both fought hard against it. Maureen, although a scientist, and uber smart, was one of the less physical heroines in this series. I only point out that fact because Greyson seems to be the most unemotional and physical of them all. Maybe they were attracted to each other because their traits balanced the other half? I don’t know but because he was so stoic, I had a hard time liking him as much as I did some of the other male characters in the series. At times I wanted Moe to just write him off and let her brother Raze take her back to the Vanguard compound. Of course in a post apocalyptic world where the Scorpius virus seems to have created super soldiers, I guess a sensitive man wouldn’t survive for very long. I was given an ARC of this book for my honest review, and it was honest. Finally we get to see Bear the Alpha of the Grizzly nation and head of the Grizzly MC Club get his own heroine and chance at everlasting love! Wicked Bite continues the storyline of finding and eliminating the Apollo drug that is being used to kill off the Witch nation. Nessa Lansa goes undercover by approaching Bear as a possible mate. She is a witch who can’t draw upon fire and he is a bear shifter who is also half dragon. In a previous novel, Bear went against nature to shift into a dragon to save his sister Simone, irreparably harming his soul. Nessa’s story is that if they mate, her healing skills will work better at healing Bear, where she may gain his dragon fire. Of course, there’s this thing called physical attraction that comes into play and Bear starts taking this Mate thing very seriously! I’ve heard this is the last novel in the Realm Enforcers series. Oh no! As an offshoot of the Dark Protectors series I really enjoyed catching up with all of our past characters. I hope I’m wrong because I can see a couple more heroes in this last novel that should get their own story. Can we get another spinoff? We can only hope! I received an ARC of this book through NetGalley for an honest review, and my review was honest. Adam Dunne and his brothers are enforcers for the Circle of Nine, but his brothers have recently been declared treasonous to their realm. The Witch realm. As the remaining enforcer of a tribunal that has an evil witch leading it, Adam is under a lot of pressure to help his family overcome these charges. Although Adam looks like a lawyer, he is a witch and he is on the hunt to save Victoria Monzelle, his sister in laws sister from his own tribunal who wants to kill her. This only adds to his responsibilities. Victoria is a rebel with purple tipped hair, but when she finds out that these other realms exist her very existence is in jeopardy. You see, humans aren’t supposed to know about them. Adam seems like a good guy, but she has trust issues. You would too if your father was a convicted drug mobster. However, there’s this spark between she and Adam that she can’t deny and doesn’t really want to resist. The Giveaway has finished and congratulations to the winner! Anya Best is being stalked by a serial killer. Taunting her with pictures of his murders, she is struck by the similarity between his victims and herself. Asking for help from her FBI Agent sister only got Loretta killed as well, and Anya is out for justice! Playing the media, Anya sends a direct message to the killer. With that challenge made, Heath, only peripherally involved before, suddenly has a fiancé, and the added danger that his past may have seen Anya’s announcement on the news giving away his location. He needs to catch this killer before time runs out. I loved that Anya was not a weak heroine. She fought all of her instincts to run away in order to get her revenge against the man who killed her sister. In the bargain, she got a hot commando alpha male who’s first instinct was to protect what was now his and make her his own. I thought Heath got the short end of the stick with Anya who was determined to use herself as bait. This book was a fun quick read and the characters were easy to root for. The underlying sub plot that runs through both the Sin Brothers series as well as this offshoot has still to reach its conclusion. 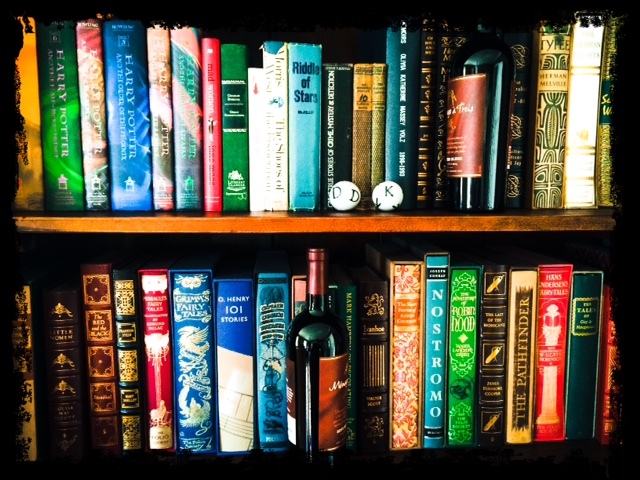 In case you aren’t familiar with these books, all of the heroes in these novels have been biologically engineered with various super abilities. Heath’s is the ability to move really quickly that gives him an edge during a fight. All of the brothers also have enhanced hearing and sight. Abilities that the doctor who created them wants to breed into a new set of super soldiers. Needless to say, we have a lot of evil running around loose and these brothers have some hard work in front of them. Will this story ARC conclude with the next book? I can’t wait to find out! I received a copy of this book for my honest review, and it was honest! 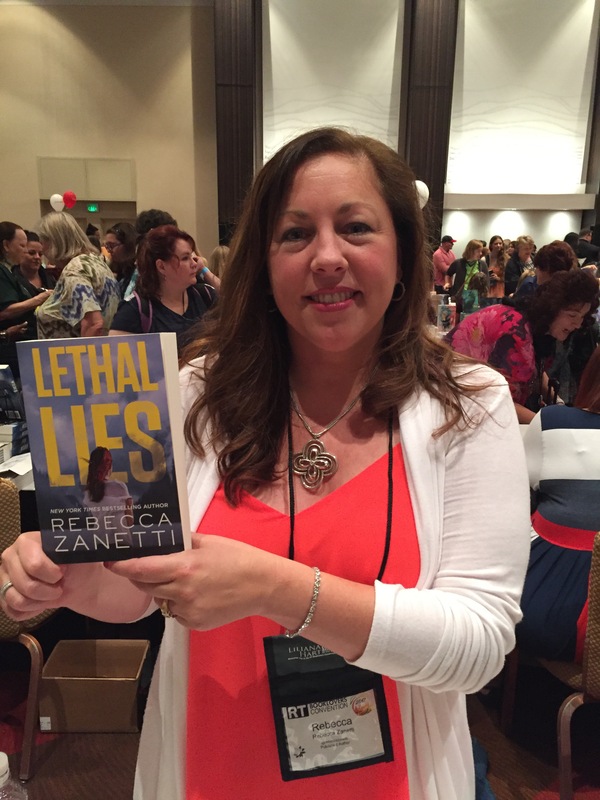 Want a chance to own a copy of Lethal Lies? Click the Giveaway link below! GIVEAWAY- US Only, sorry! EXPIRES 5/19/17!